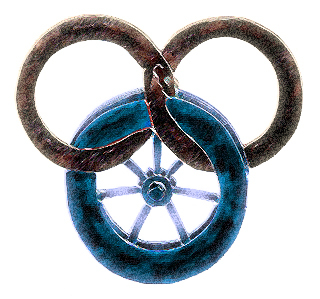 A discussion of Robert Jordan's Wheel of Time series. When doing a re-read, it's easy to point out all the times the characters first do something they make a habit of doing later on in the series-- actions that were once difficult or novel that have become nearly mundane. This chapter marks a pretty momentous occassion as such. For the first time, Rand realizes that the filthy light inside of the void is actually saidin. It's like a baby who first realizes the function of their legs. It was present before but Rand just didn't know what it was. However, he tries to harnes the One Power and fails. The baby metaphor works especially well here also. It's really interesting to read moments back when Rand was unable to channel even a trickle, as oppossed to the monumental things he can do by Knife of Dreams (ch. 19 specifically--that's the most amazing chapter in the series). It really is a great place marker in the full scope of Rand's life lessons regarding the One Power. » Was it somebody on this site that said Doug Stone was doing a NSW prospecting book ?